A few weeks ago we took Ava to see a chemistry magic show down at BYU that Aunt Betsy (Krista's sister) invited us to. 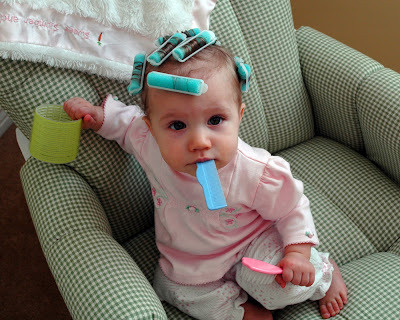 Ava decided to style her hair for her big night out on the town. 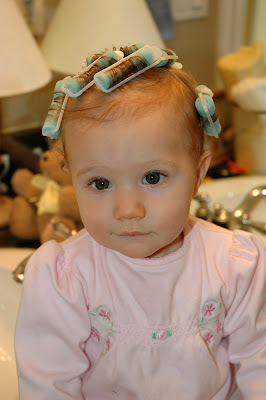 She had a fun time playing with her hair accessories while waiting with her curlers in for her hair to dry. However, she soon started to get bored with all the waiting around. And eventually she got really bored. Ah, the price of beauty. 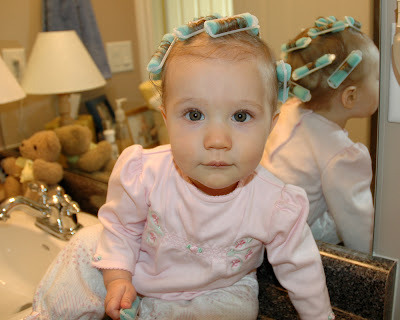 Finally, it was time to move to her bathroom in preparation for taking out her curlers. Ava really liked sitting on the counter top. 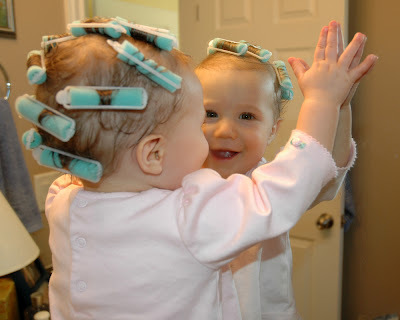 And she was especially excited to discover that her friend in the mirror had her hair in curlers as well. 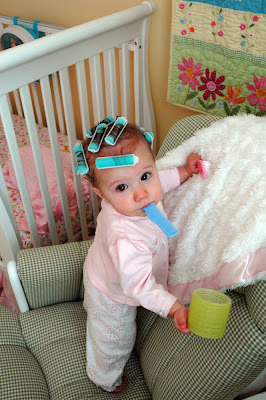 Oh my gosh...she is TOO cute with those curlers!! That is hilarious...I can't wait to see what her hair looked like!! Everyday I think that nothing can get any cuter, but today takes the cake. 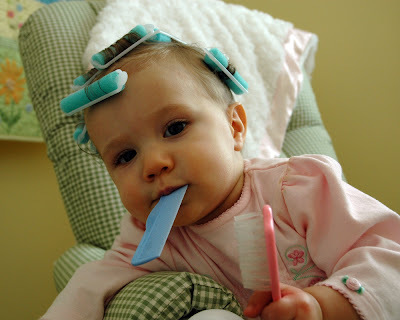 She is so darling in her curlers. I just want to squeeze her!--Granny O P.S. She looked very fabulous with her curly hair at the magic show. 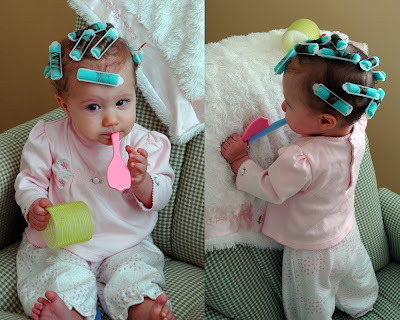 I love the curlers. She looks so cute! I wish Annissa had more hair, so we could tame her wild hair. Ava is darling! aww she is so adorable!! can't wait to see her curls..